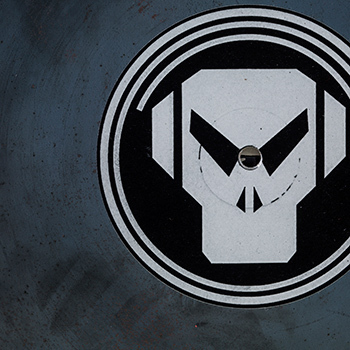 Founded in 1994 by Kemistry, Storm and Goldie, Metalheadz has defined the drum and bass sound for generations to come. 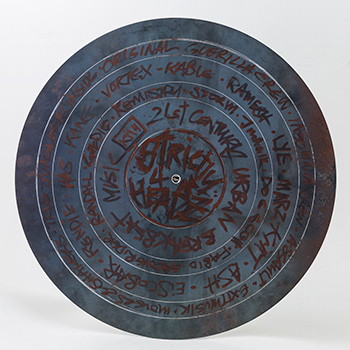 The name is a reference to the "metal heads" used to cut grooves onto a dubplate and the metal in the dubplates themselves. 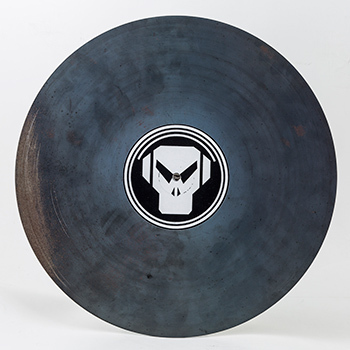 In 1997, Metalheadz released the seminal Platinum Breakz II compilation. The entire album was untouchable, but the truly amazing track for me was J Majik's "Your Sound Remix". From start to end, the track is a Masterpiece. The arrangements, the industrial atmospherics, the heavy bass, and one of the best Amen break sequences to date – and J Majik was only a teen! Back then, my only desire was to play this out loud in a club, which drove me to DJ. And the rest is history. I hope to encapsulate the rush that I always get till today when I hear the track in this art piece. For more than ten years, Ken Tan has worn many hats in the creative sphere. His experiences span a broad range from running a digital creative agency to branding the lifestyle store, Supplies & Co. With a soaring passion for all things related to culture, art and design, Ken is not afraid to get his hands dirty with the craft of print, painting and illustration. He is also an established drum and bass DJ on the local circuit, going by the moniker, Doomer. With a keen eye for design and detail, Ken has built interiors and created brand identity for a series of F&B establishments as creative head of The Establishment Group including Gem Bar, Manor Cocktail Room, Zui Hong Lou, and recently :pluck. His palate is unrivalled as well, having perfected the art of making the best vegetarian breakfast on this side of town.